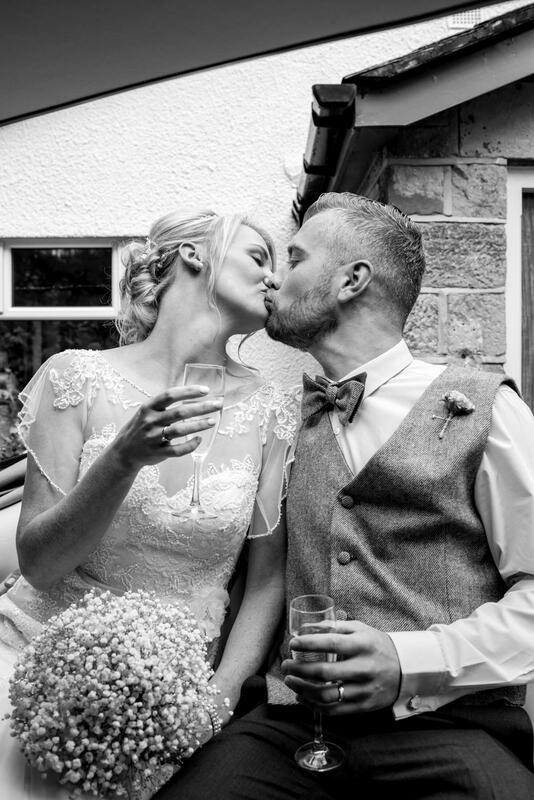 Kirsty, Joshua and I met in my local public house in Croston, to talk about there perfect day! 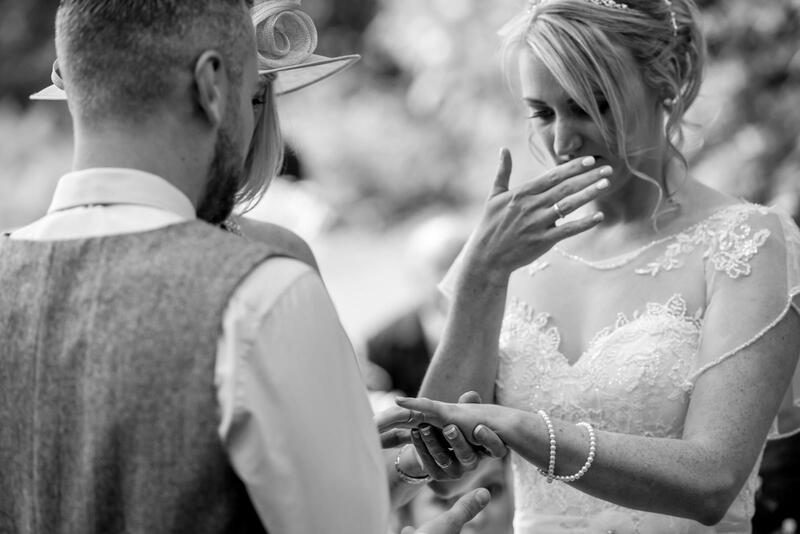 I was instantly on board with all their ideas as they both wanted an outdoor, personal wedding blessing at one of their favourite place’s in Rivington (and one of mine too!) the enchanting Spring Cottage. 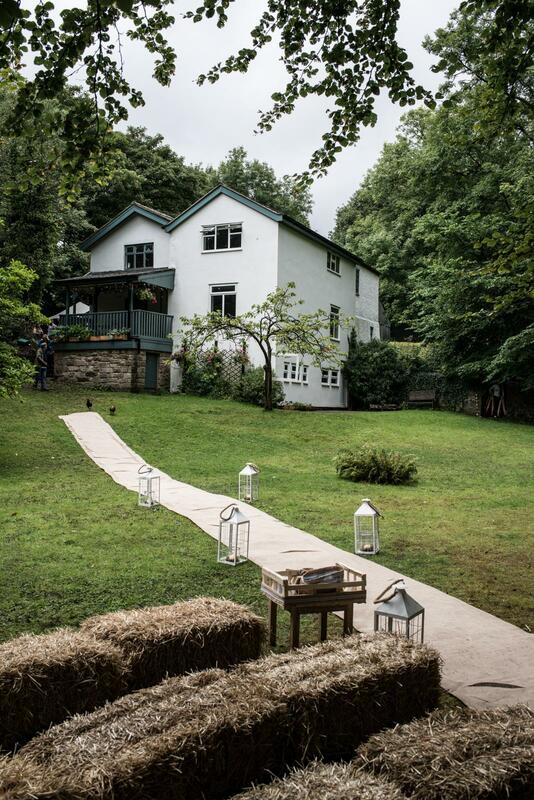 If you haven’t been to this venue or area in Lancashire – go and have a look! It’s breathtaking! Kirsty wanted the ceremony to include a remembrance for her father, knowing that her day was going to be a very difficult one without him. Kirsty and Joshua both agreed at this meeting they wanted to book me as their celebrant for their day, and I set to work straight away! I created a first draft ceremony which included everything we discussed and all the little details they wanted. We exchanged emails over the following months and finally agreed on a truly perfect ceremony. We arranged to meet at the venue, it was great meeting most of the wedding party and getting really excited, calming any nerves and running through the logistics, as the ceremony was going to be held outside. 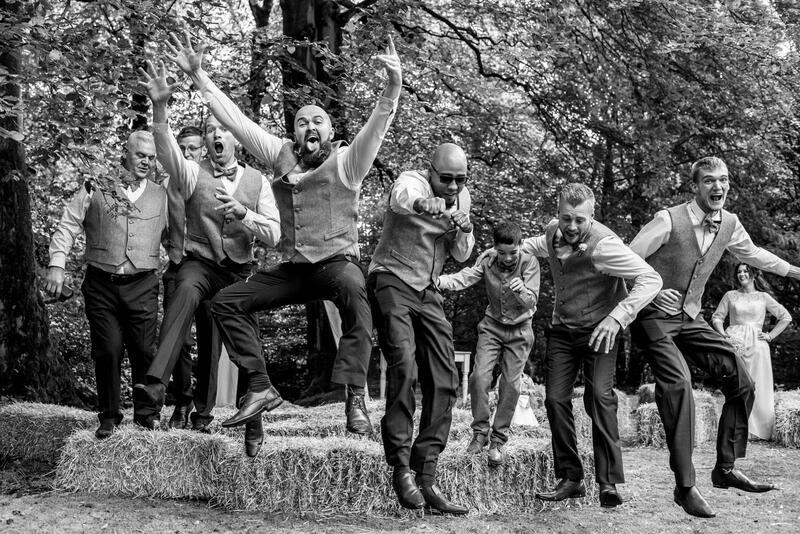 It was at the rehearsal that Joshua decided that he, his best-man LJ and four ushers would also like to make an entrance before the bride! 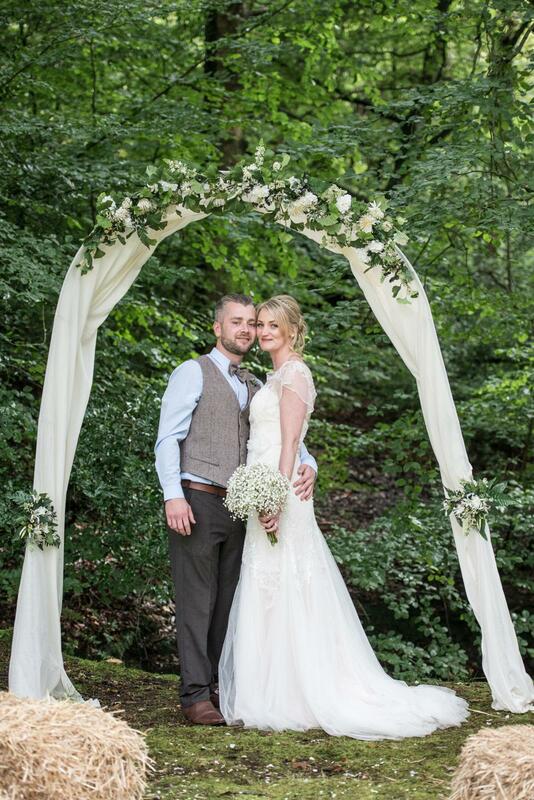 It was a perfect summers day, to have an outdoor ceremony, Spring Cottage looked magical. The sun broke through the trees and there was all but a slight breeze as I listened to the excitement of the guests arriving. Joshua was relaxed and he, his best man and ushers looked very handsome. Once the guests were seated, they really enjoyed making their entrance just before the bride arrived. So after the initial excitement of the groom making his entrance, everyone went perfectly quiet to hear Shania Twain’s voice filling the air with “From This Moment”, slowly the five bridesmaids (perfectly timed) walked down the aisle, then a hush came and Kirsty and Sonia her mum made their way to the front of the aisle. Sonia punched the air, there were tears and then happy laughter. I cannot tell you how Kirsty looked, is there just one word to describe how absolutely stunning and joyously happy someone is? As Kirsty made her way down the steps along the grass covered aisle to stand beside her husband. Joshua never stopped smiling and I am sure his eyes misted with emotion! Kirsty chose to be given away by her mum Sonia who beamed with happiness and pride. We took a moment to remember Kirsty’s dad, as Kirsty and Joshua held hands supporting each other. 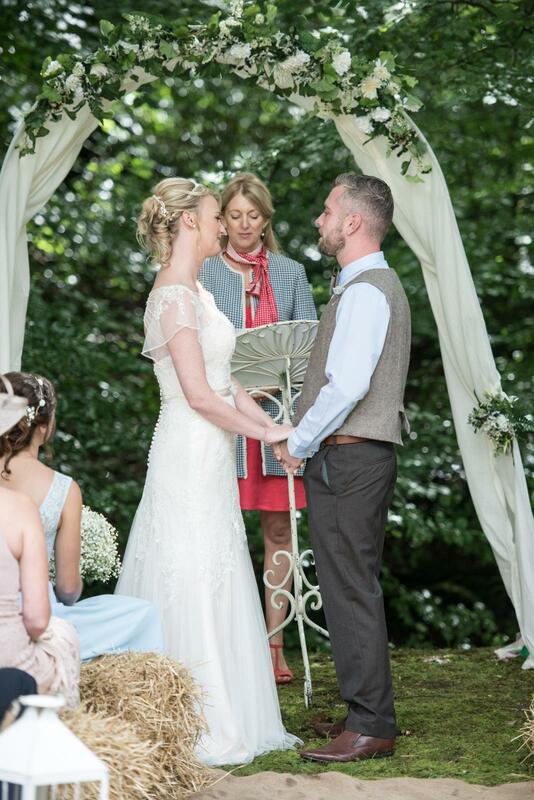 Throughout the ceremony, Joshua and Kirsty only had eyes for each other. They chose to share a “Story of Us” both reminding and telling their guests the key moments during their 8 and a half years which led to them both standing together, declaring their love for each other. We shared a light-hearted moment, when I talked about Kirsty’s love of organising and of Joshua to never forget to keep Kirsty happy! Our couple chose to exchange one traditional style vow followed by a personal promise which included sharing humorous promises for each other. LJ (the best-man) brought the wedding rings forward, shortly after which I announced our couple as husband and wife. Mr & Mrs Barnard kissed to lots of whoops and applause! Friends Beth and Callum performed acoustically as they sang “A Thousand Years” (a Christina Perri track) – while the happy couple signed their commemorative certificate with their chosen witnesses their two mums. Joshua and Kirsty walked back down the aisle towards their waiting drinks to Jack Johnson “Better Together”. It really was a perfect day at Spring Cottage – one I will never forget. 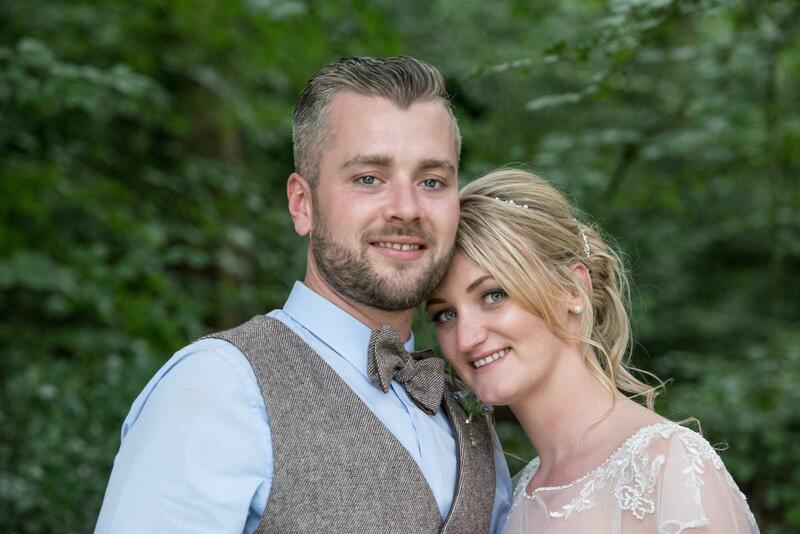 Kirsty and Joshua recently sent a tremendous thank you email saying how perfect their day had been! I have to say, they were a perfect couple to work with and you can see from the photos what a fantastic day they both had! 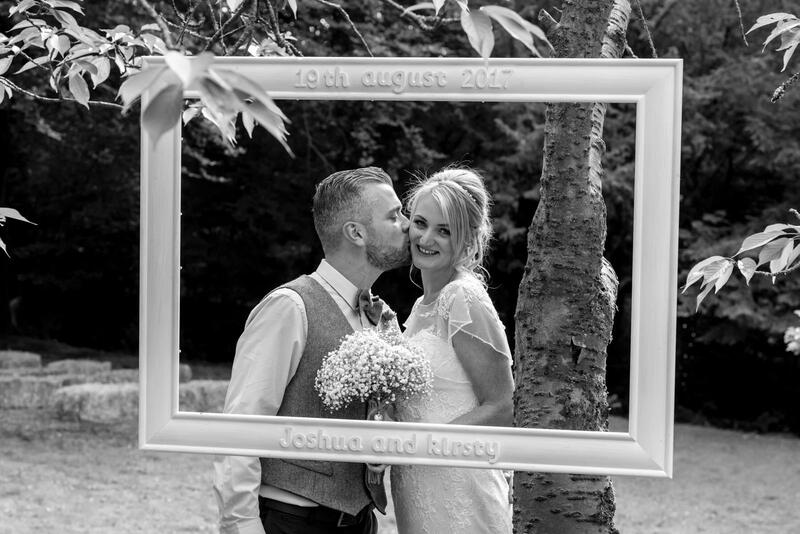 Thank you so much for taking time to read this post about the story of Kirsty and Joshua’s day. 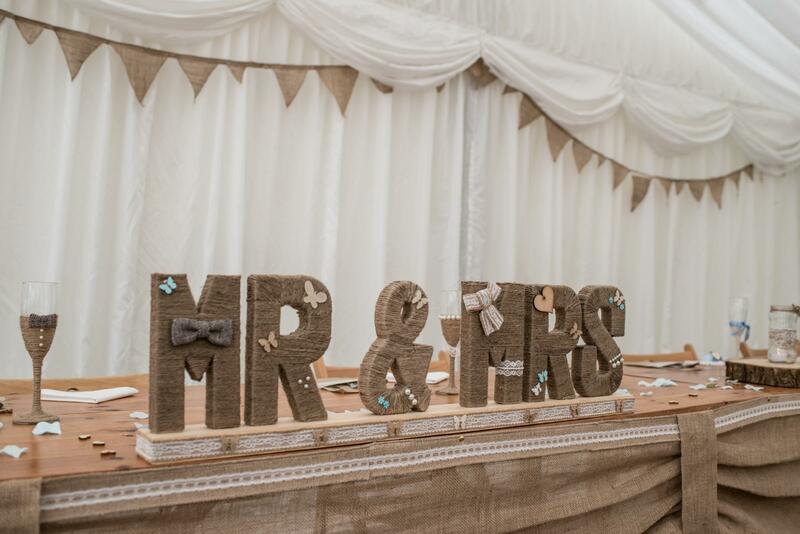 Please do get in touch today to find out how I can help you with your wedding day. Once again, please help spread the word, why not email this to a friend who is recently engaged and planning their Wedding or share it on Facebook. Thank you! 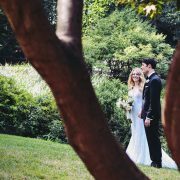 Romain & Yohann’s English Elopement Wedding trends for 2019 every newly engaged couple should know!